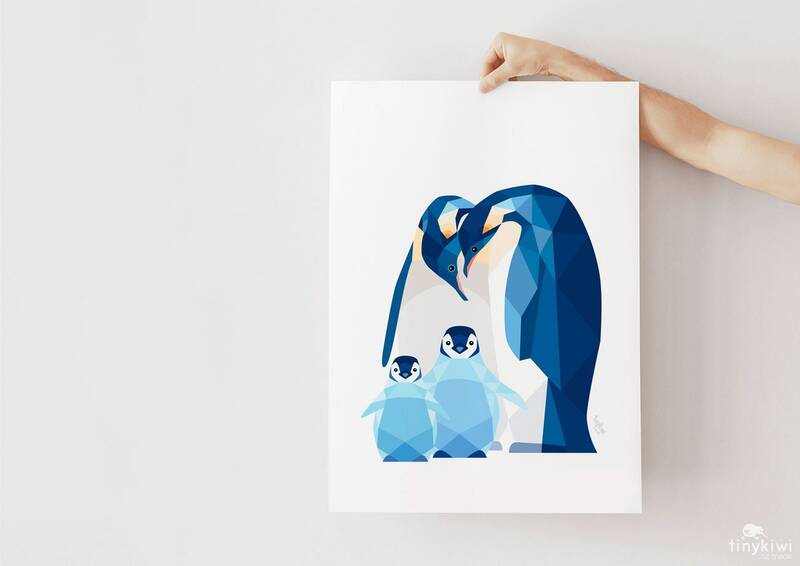 A geometric illustration of emperor penguins. 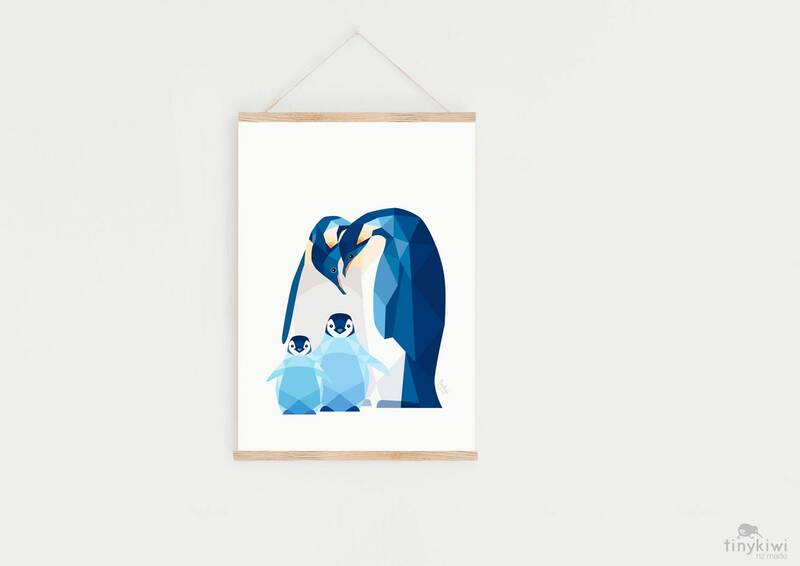 This little penguin family is native to Antartica where they live on the ice and swim in the chilly seas. 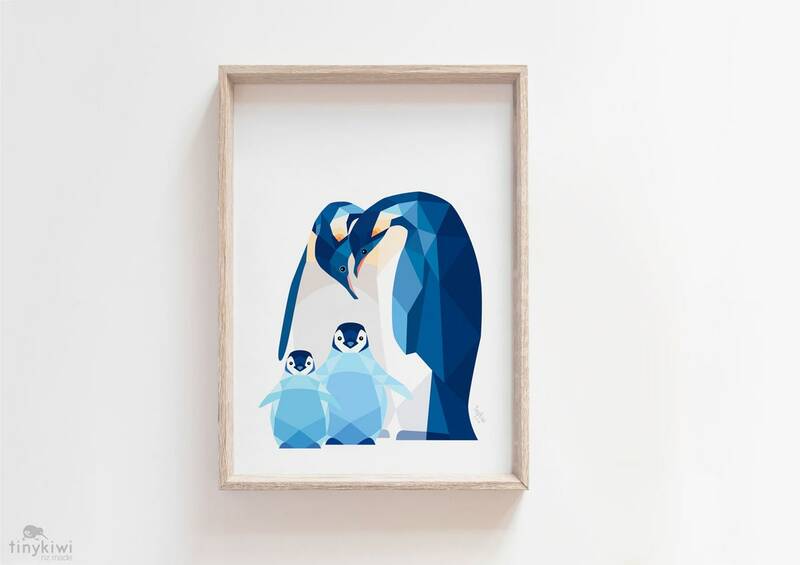 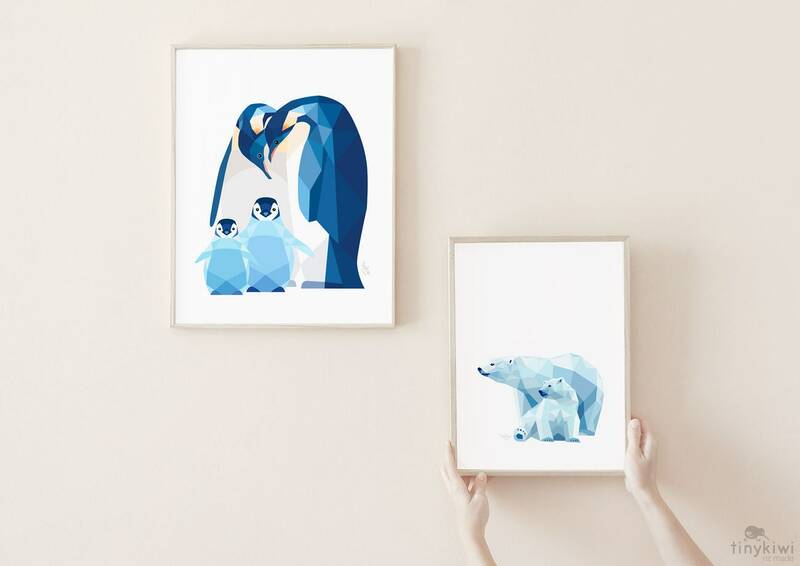 This penguin family is the perfect addition to our nursery! 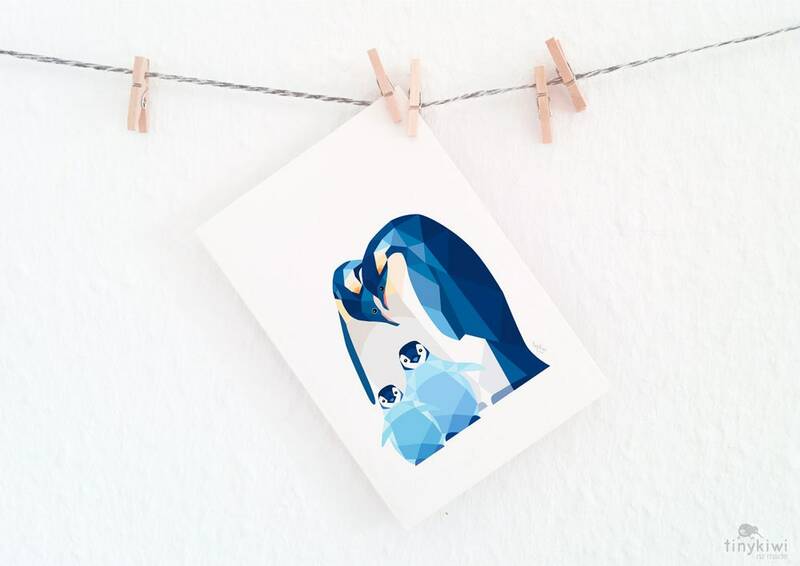 I love the illustration so much, and the printing quality is fantastic!